Each of these precision crafted modern cement tiles contains eight black and eight white squares in a checkerboard design. You can choose to lay them so that they maintain this regular pattern all over the floor or wall, or, you can unite these Turkish tiles in different directions to form blocks of four or two in one colour, and create all kinds of stunning designs. These striking geometric cement tiles are guaranteed to make an impact. Lay the tiles to create the pattern of your choice. Form a row of large black diamonds, framed between two rows of diamonds which are horizontally divided in grey and white, followed by a row of vertically divided diamonds in the same two shades. These Turkish tiles are simply stunning. 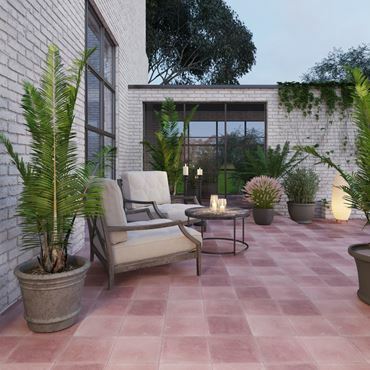 These encaustic tiles will turn heads with their clear-cut, crisp, straight lines. The traditional gingham pattern in black, white and grey makes a stark, clear, statement of simple delight to the eye. These handcrafted Turkish tiles will infuse new life and beauty into a small, overlooked floor. Lay the tiles for a continuous uniform pattern, or turn some so they make unusual alliances.